A Systematic Mapping and Review of Non-Clinical Research for Arts and Health. 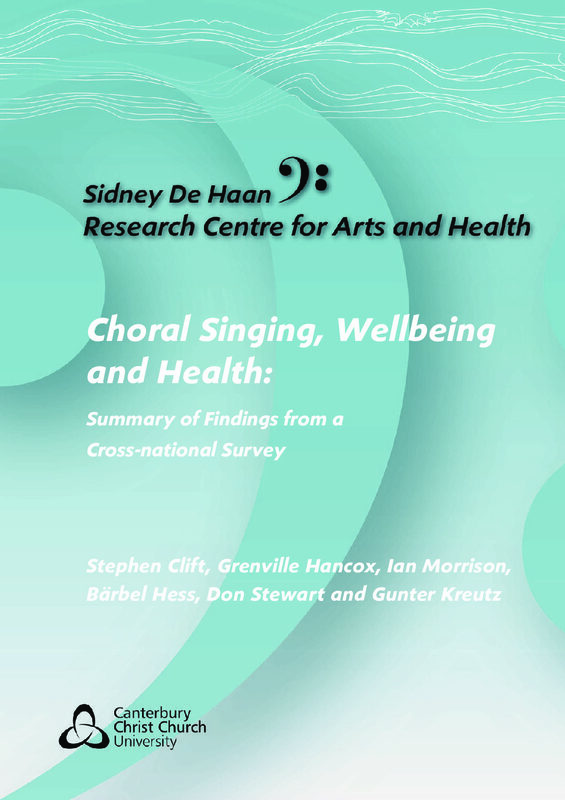 A large-scale, cross-national study regarding the perceived benefits of choral singing, assessing singers’ perceptions in England, Germany and Australia. A toolkit by the National Portrait Gallery to inform arts practitioners and hospital school staff about the methods used in working with hospital schools as part of their outreach work. The final evaluation report of a partnership arts and health project to make a case for long term funding for Arts and Health work in a range of healthcare settings. 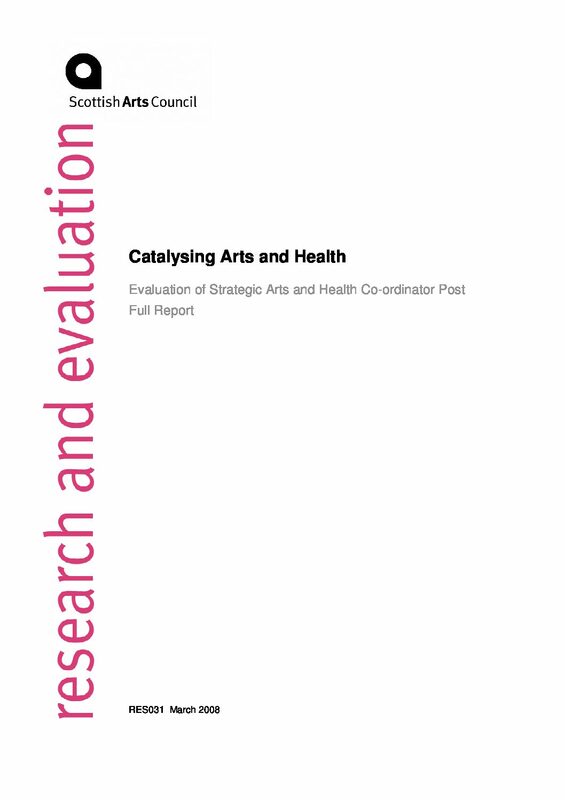 This evaluation focuses on identifying changes in arts development and organisational change that has resulted from the arts and health post. The objective of the Invest to Save: Arts in Health research project was to evaluate and encourage development of arts based practices in a range of different settings and to understand more fully those benefits. 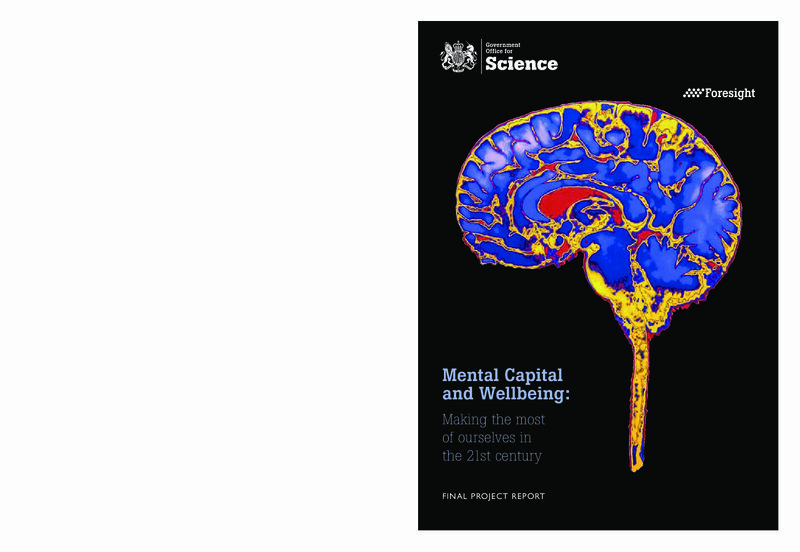 This independent analysis of the Foresight Project on Mental Capital and Wellbeing provides an independent look at the challenges ahead to inform strategic and long-term choices.